The present invention relates to a geothermal water heater system, and methods of heating water for domestic uses utilizing geothermal energy. 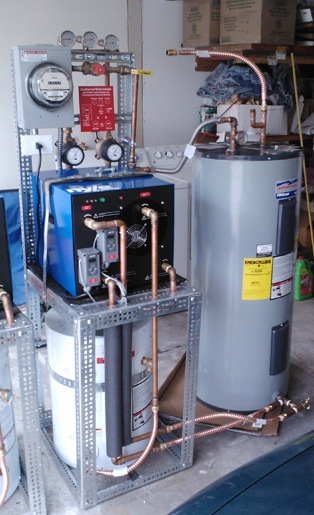 More specifically, the present invention provides a geothermal heat pump water heater system includes a hot water tank, a cold water tank and at least one water-to-water heat pump. As contemplated, the water-to-water heat pump includes one or more heat exchangers which control heat transfer from water drawn from an outside water source. The outside water source water is supplied to both the hot water tank and the cold water tanks whereupon heat exchangers which comprise a cold water side heat exchanger and a hot water side heat exchanger, allow water entering the cold water tank to be cooled and returned to the cold water tank while water entering the hot water tank is heated and returned to the hot water tank. I am equally interested in either a sale or license. Because there is so much more potential IP to spin off the core patent, it may make more sense to sell than license the patent but I am open. The concept has been presented to the ACEEE Hot Water Forum with positive feedback from industry leaders regarding the high efficiency but reservations about the state of the market for heat pump water heating. 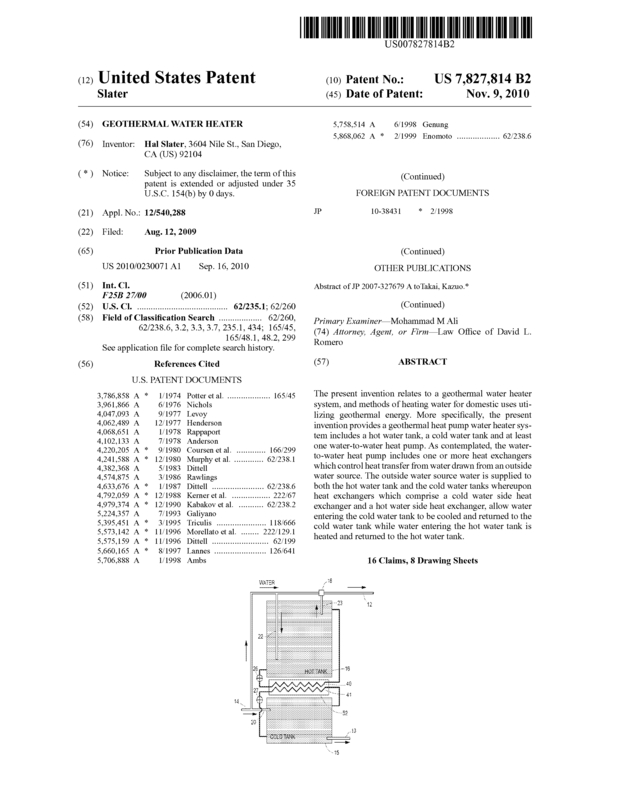 Page created at 2019-04-26 18:35:09, Patent Auction Time.